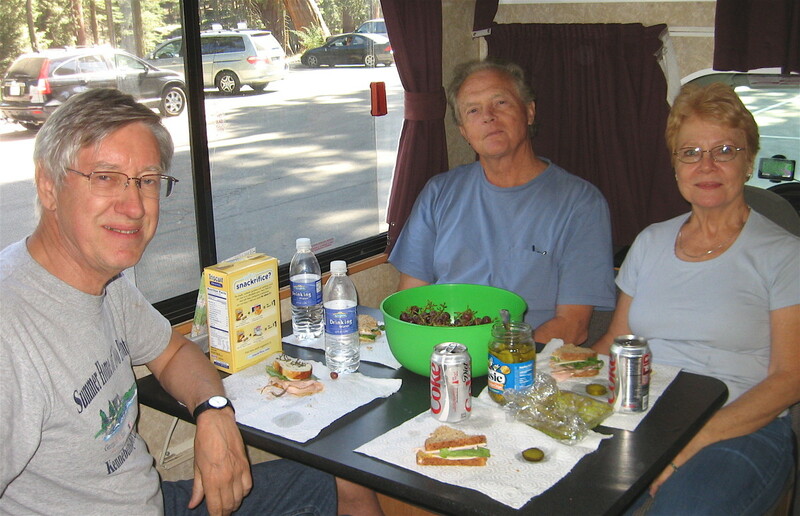 From LA to Yellowstone in 10 Days, 4 adults had the time of their lives in a 26 foot RV rented from Cruise America. 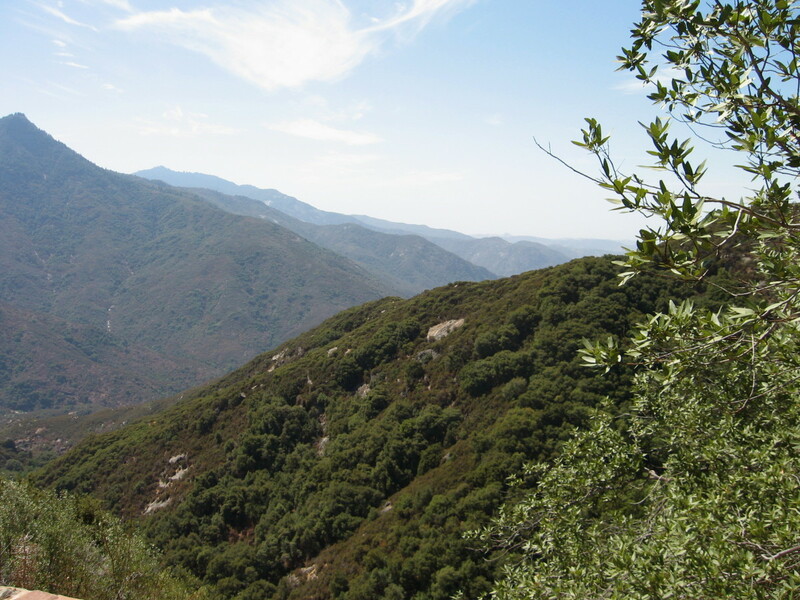 A fairly frugal holiday, we paid half price for a one-way RV out of Los Angeles, camped in exceedingly reasonable National Park campsites, ate many meals prepared in our tiny RV kitchen, and split the cost 4 ways. And we had a ball. So, here's a roundup of our tire-tread odyssey in these Western United States: California, Nevada, Idaho, and Montana. We flew into LA one October afternoon, 2 couples, one each from Austin and Detroit. Drove a rental car to the big Cruise America lot, took the very enlightening RV operating class, and then anxiously drove away in our newly rented RV for the first time! A little nerve wracking in LA traffic, I might add. But we did it!! 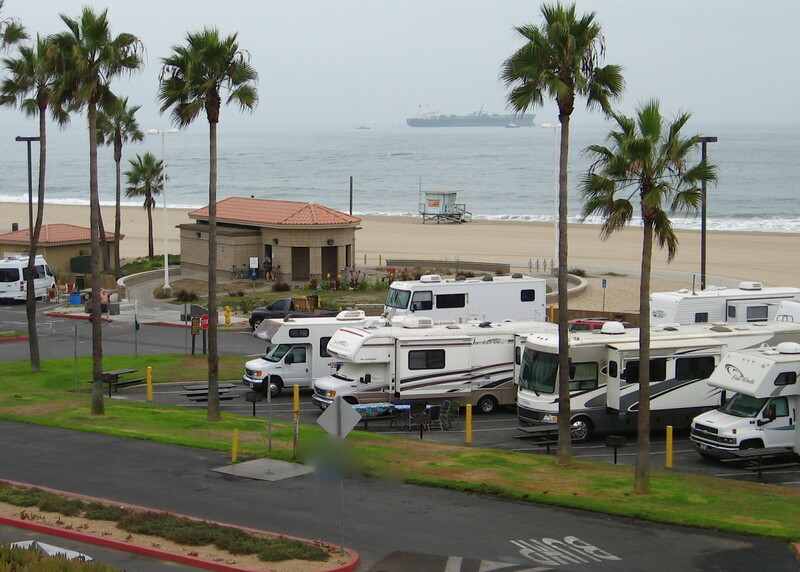 California dreaming, we spent our first night in an RV on the beach in a gorgeous RV beach campground, called Dockweiler, near LAX Los Angeles International Airport (at the end of the runway!) Actually, it was quite wonderful. Of course, we had a lot to do. Since we had flown in we needed to stock up on groceries. (The rental car came in handy. We parked the RV and drove the car around LA.) To our surprise, the RV was well stocked with pots and pans and tableware. We had brought along our own bedding and towels, measuring cups, a bowl, a couple of sauce pans and cooking implements, but we had expected to go shopping for the rest. 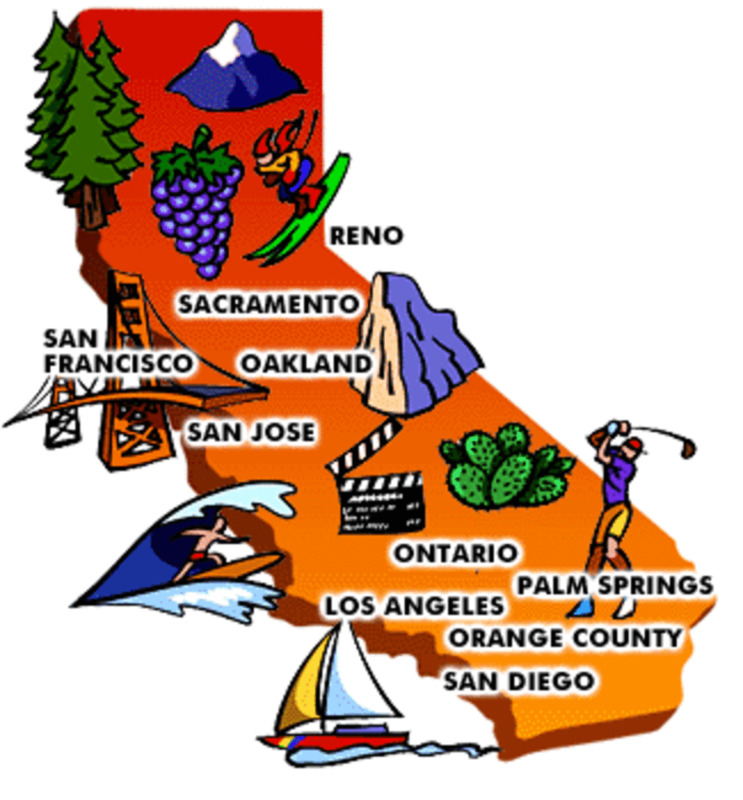 sections for each major destination; for example: Los Angeles, Other California, Nevada, Idaho, Yellowstone. P.S. I know some experienced RVers just pick up and hit the road, footloose and fancy free, with no plans at all, making decisions as they go. For our first time out, we wanted some things planned. 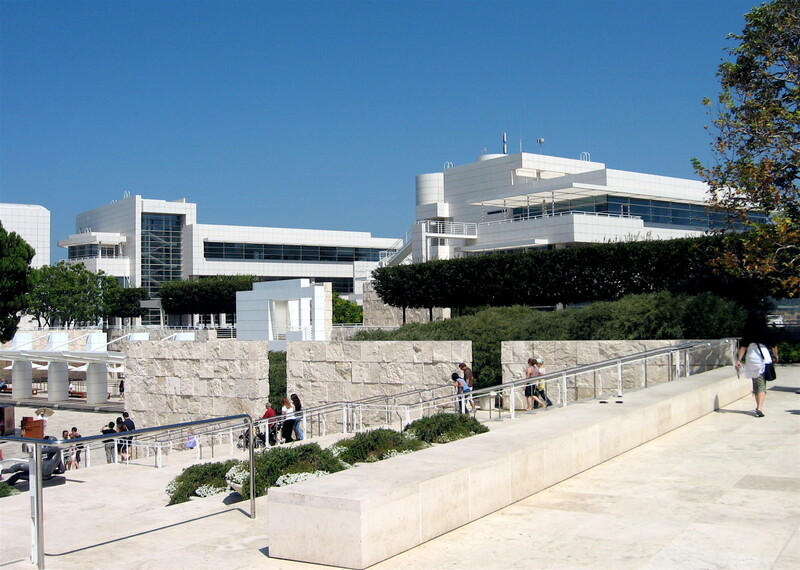 Our LA "Must See" was the Getty Museum. 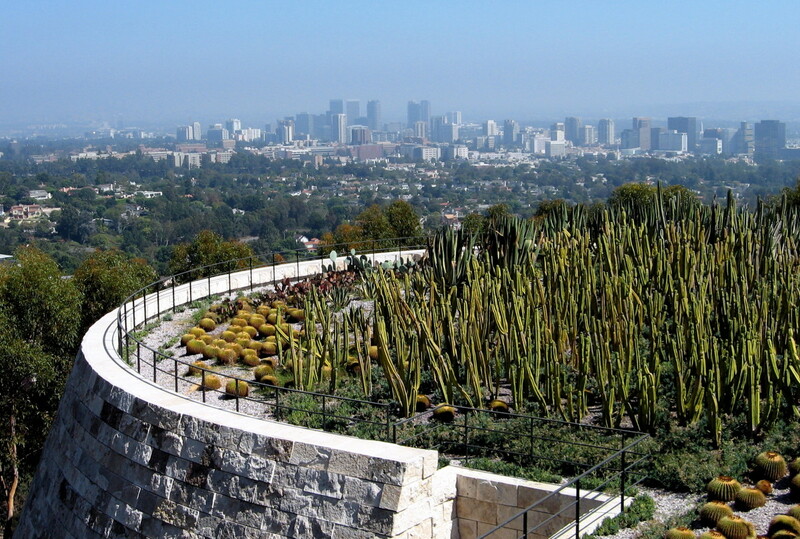 View of LA from the Getty. As much as we love traveling to big cities—especially New York and London—this RV trip was definitely NOT about city sights. We were going to rough it (in a luxury RV!) 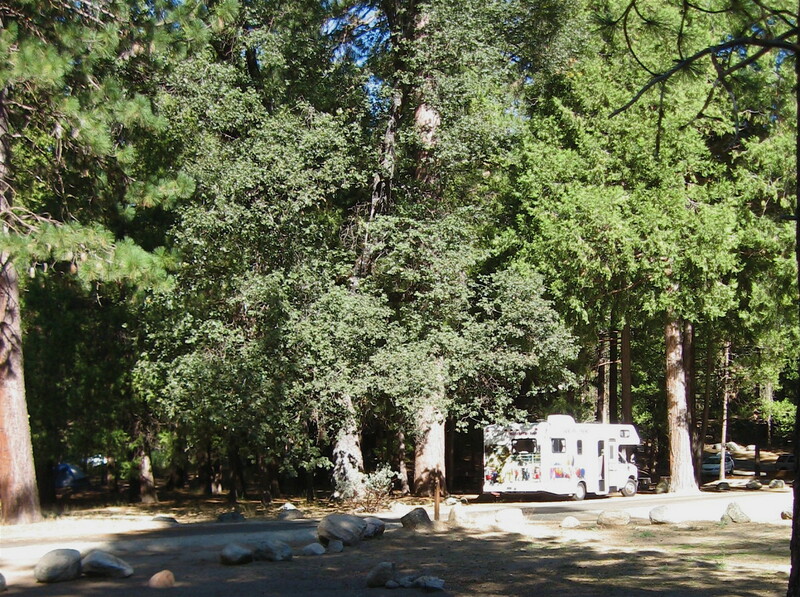 in campgrounds set in some of the greatest wilderness in the world. 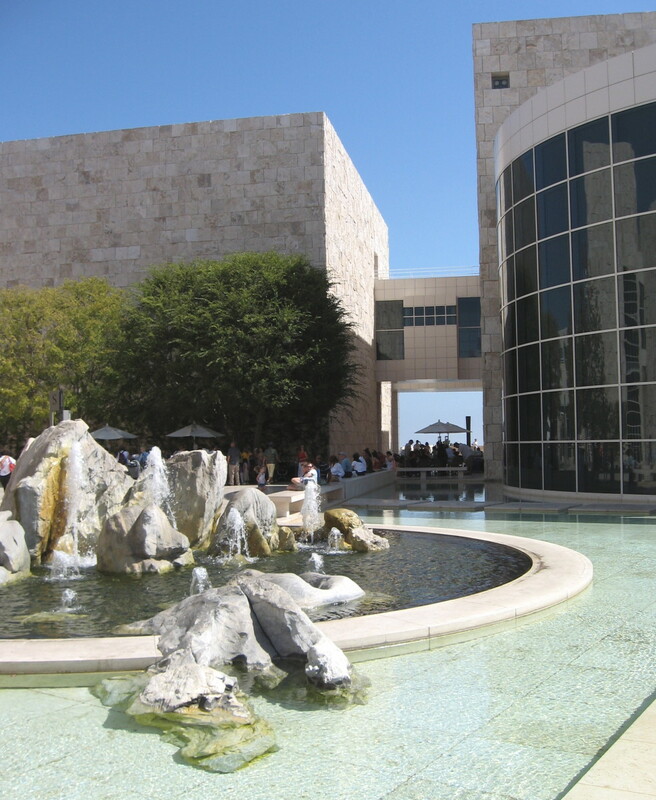 Still, we couldn't pass up the chance to do a quick tour including views of LA from Mulholland Drive, the mansions of Beverly Hills, the Hollywood sign, and most of all, the billion dollar Getty Museum, set like a jewel high in the hills overlooking LA. After getting the RV stocked and organized, we had a fine dinner and our tour of the city, slumbered under the stars, and awoke to the sound of pounding surf. Then, after necessary stops at Starbucks and Trader Joe's, off we went, up Interstate 405 to the Getty and then to Sequoia National Park. 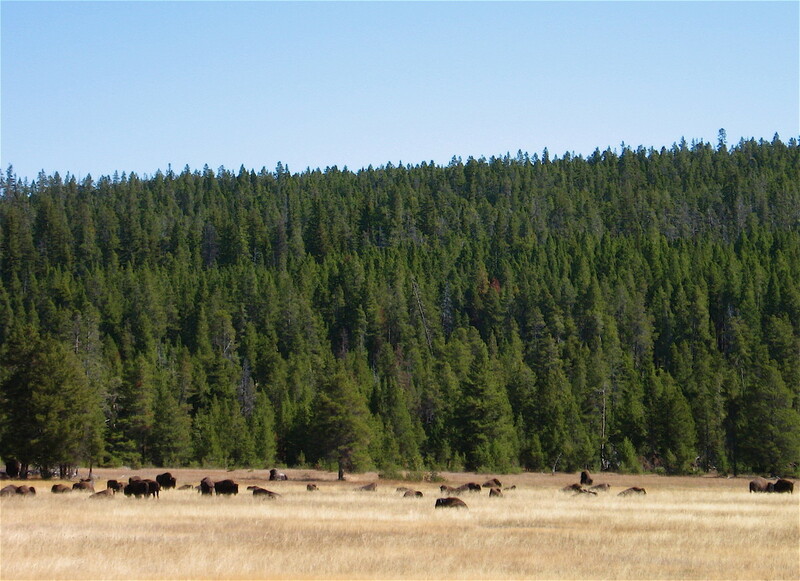 This fabulous NP site has tons of information and campground reservations. 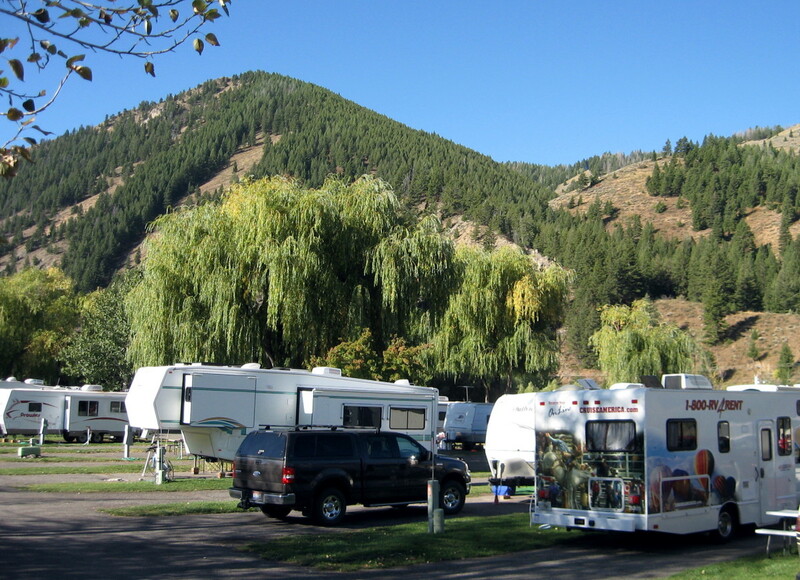 Get information on RVs including towable models such as truck campers and travel trailers or motorized models such as Class A, B and C motorhomes. We were planning on shopping at IKEA to provision the RV with the rest of the things we needed but couldn't bring on the airplanes, but the Cruise America "provisioning kit" which normally cost $100, was already on board our RV. 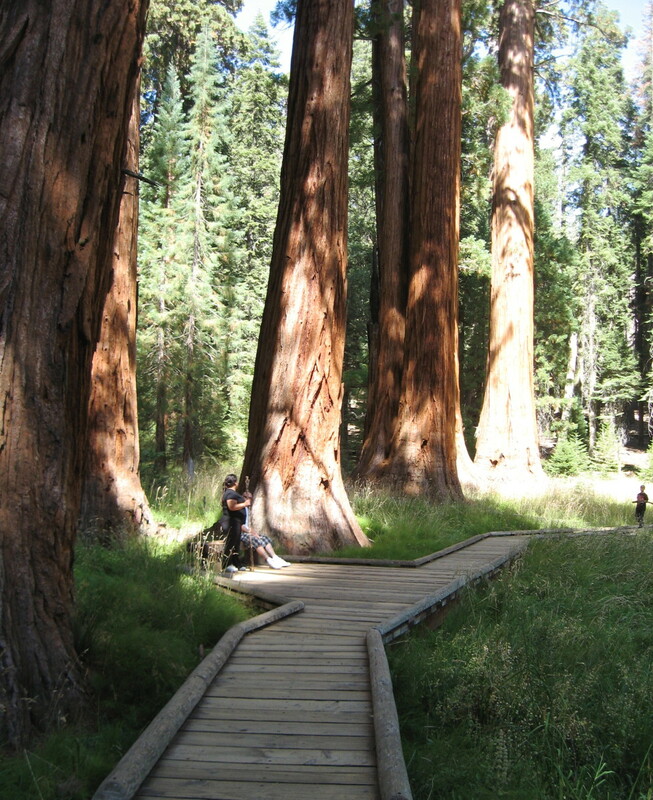 I don’t think anyone can really describe what it is like to stand in the mystery and majesty of the giant sequoia trees, the largest trees in the world. 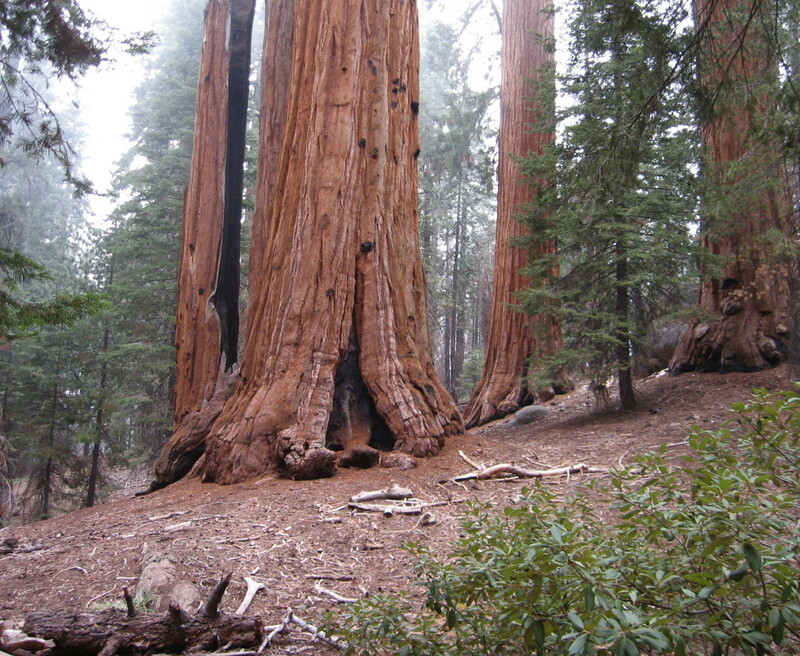 John Muir, the pioneering conservationist, said one naturally walked softly and awe stricken among them. Stand in the forest and close your eyes, you still feel their presence. You and I are only going to live a 100 years, at best, but these beings are up to 3,000 years old. And they don’t die of old age, either; most just fall over. 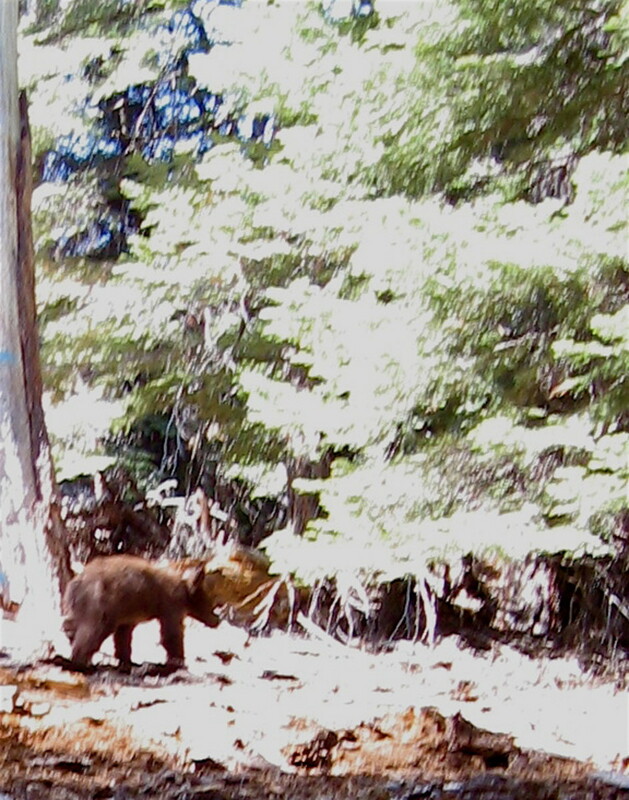 They only grow above 5,000 up to 7,000 feet in only 2 places on earth—here in California on the western slope of the Sierra Nevada Mountains, and somewhere in China. 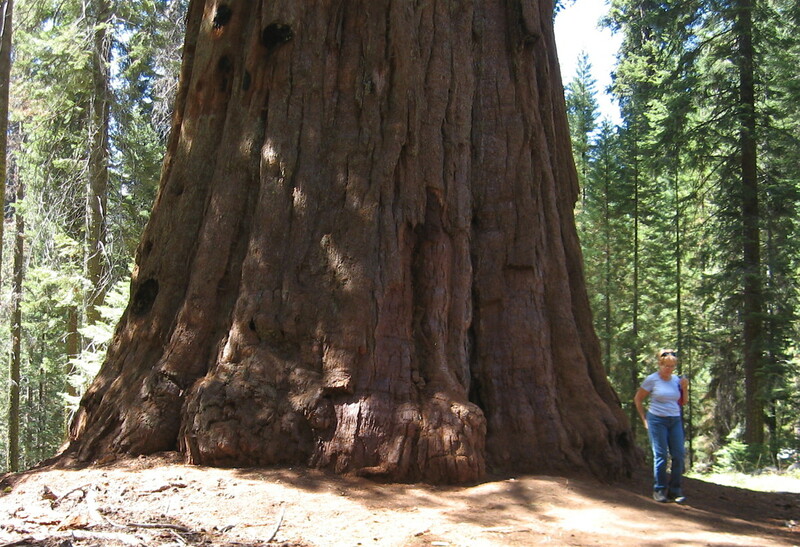 If Sequoia trees, then Yosemite rocks! 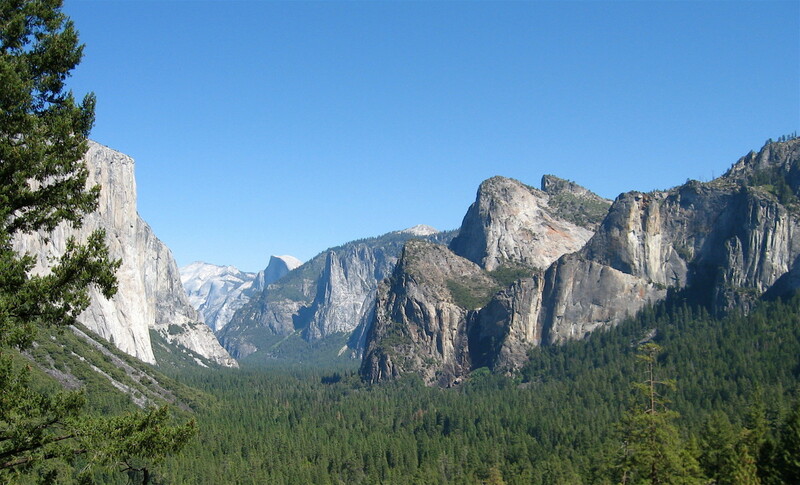 Grandeur is the word for Yosemite National Park. Majestic rocks, cliffs, and waterfalls are everywhere. 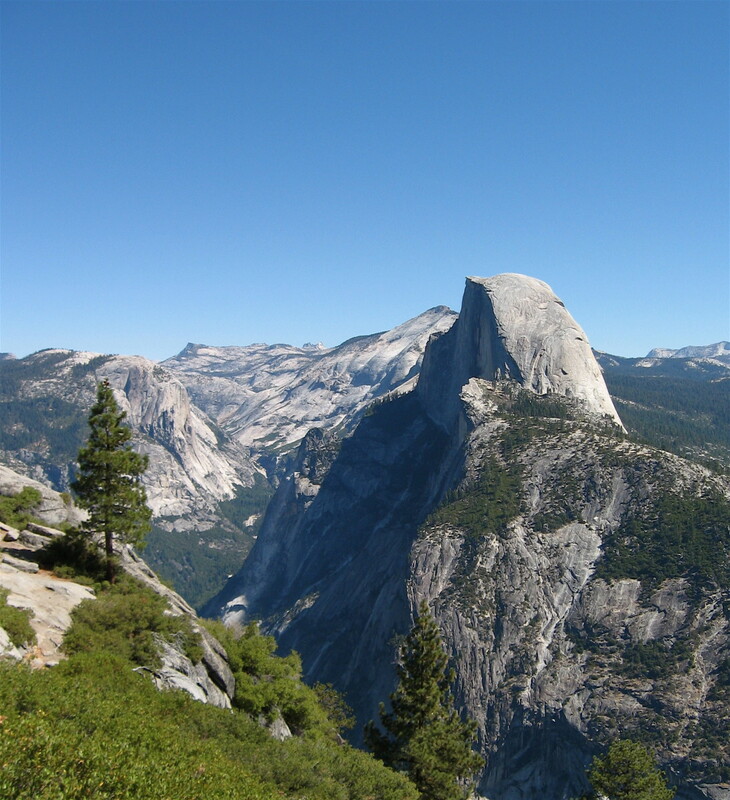 Half Dome is the most famous "rock" in the park, near Yosemite Valley, the most frequented part of the park, where we camped one night. In October, many of the famous falls are dry, but if you do a little hiking you can still find them. We stayed one night at 3 different campground in Yosemite, each quite different and offering its own starting points for views and trails. 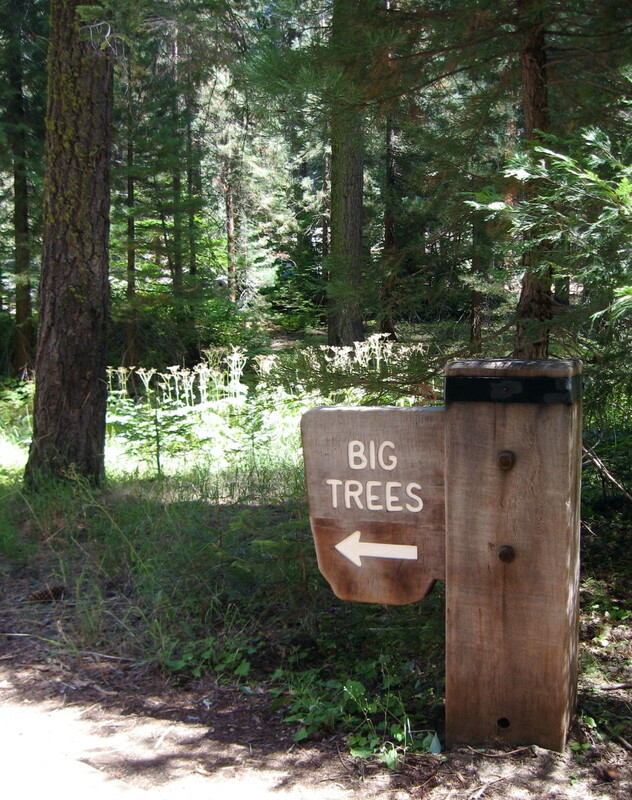 North Pines, the relatively populated campground in Yosemite Valley, is full of civilized offerings: hot showers, restaurants, groceries, gear, bar, and coffee shop. Bottom line: It's a ball. 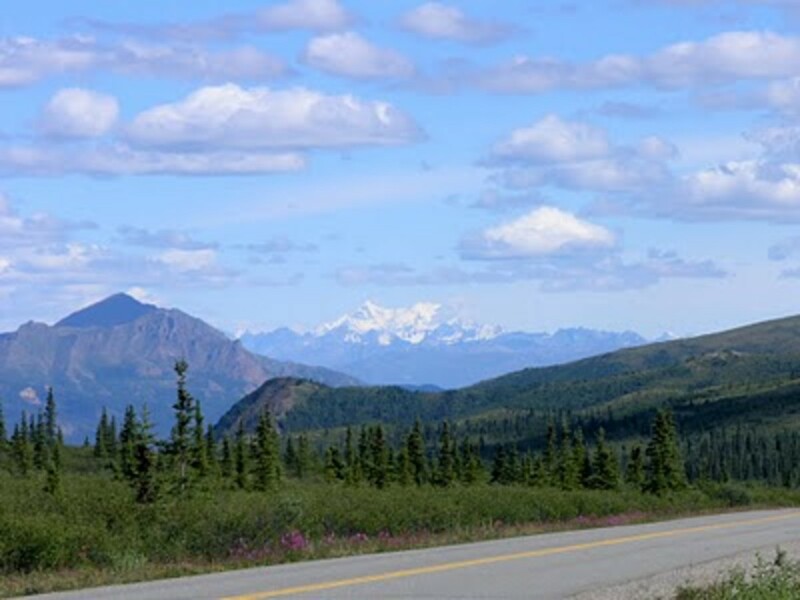 The experience itself is an odd juxtaposition of the extraordinary, almost spiritual aspect of the beauty that surrounds you when you camp in these great national parks, and the very mundane, nitty-gritty details of living camp-style. For example, water. Turn on the faucet and out it comes, right? In an RV, you have to worry about 3 kinds of water: fresh, gray, and black. Think about it and you get the idea pretty quickly. The 40-gallon fresh water tank was supposedly potable, but we used it mostly for cooking and cleaning. The 35-gallon grey water tank collected water from the shower, kitchen sink, and bathroom sink. The 30-gal black water tank was from the toilet only. Every day you have chores that may involve filling up the fresh water tank, and emptying the black and grey water tanks. The other tanks to keep an eye on are the gas tank and the LP gas tank which powers the refrigerator and stove. If you use the generator, you incur extra charges and may have to change the oil. With so little space, we had to be tidy and synchronized. We took turns getting dressed in the morning, alternated chores, and more or less stood up only 2 at a time. Fabulous! Make reservations FAR in advance. 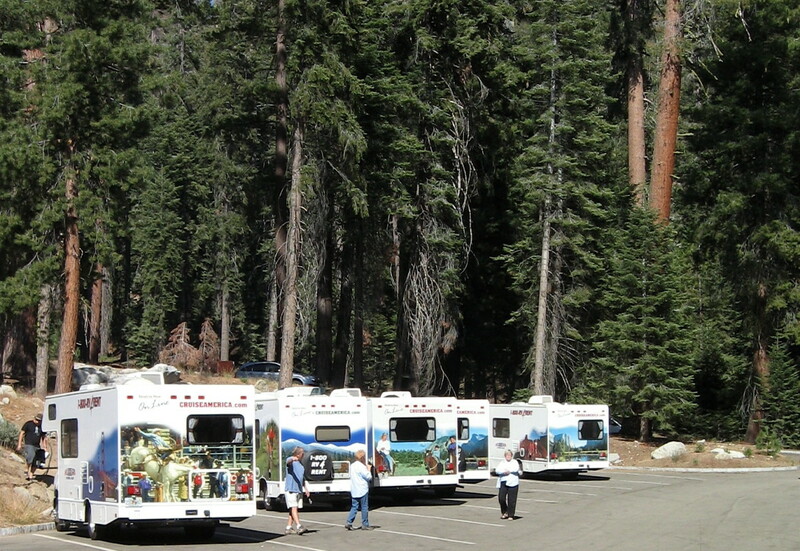 The most social camp in Yosemite. Restaurants, groceries, hot showers. Out in the middle of nowhere. Still, it has its own kind of beauty. Gorgeous green and wooded Idaho. West entrance to the greatest National Park of all! 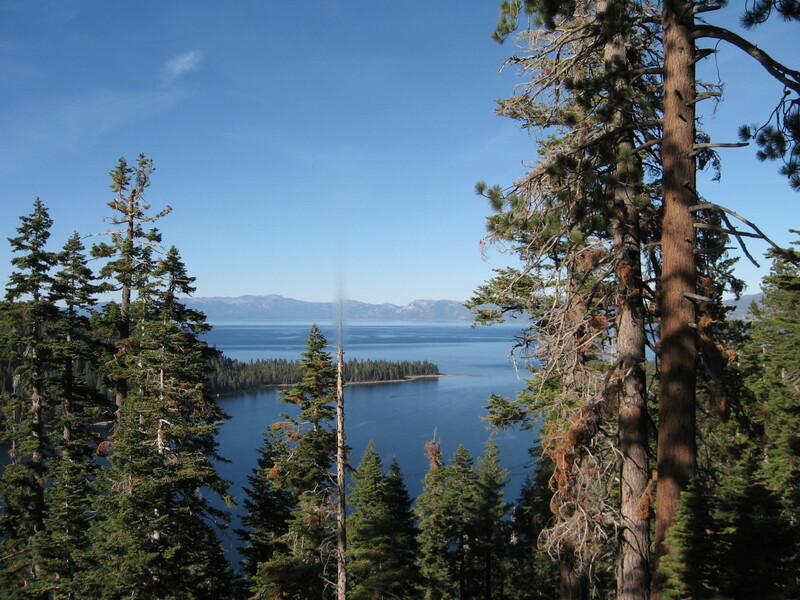 We thought we'd seen the most beautiful sites in the world in Sequoia and Yosemite, but Lake Tahoe was simply breathtaking. 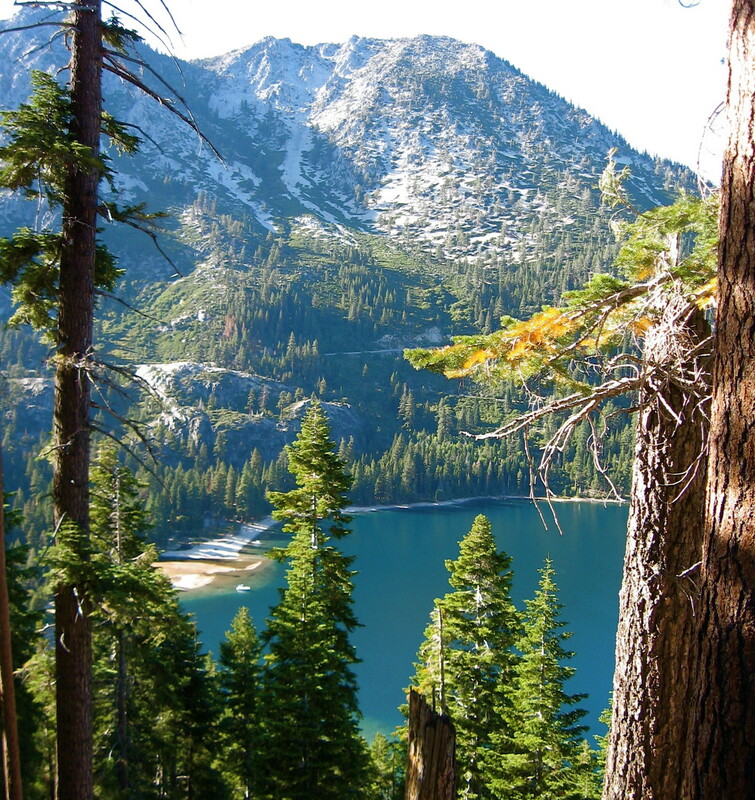 Surrounded by mountains, forests, and beaches, we all decided we would be happy to return for a long stay at this gorgeous lake, summer or winter. 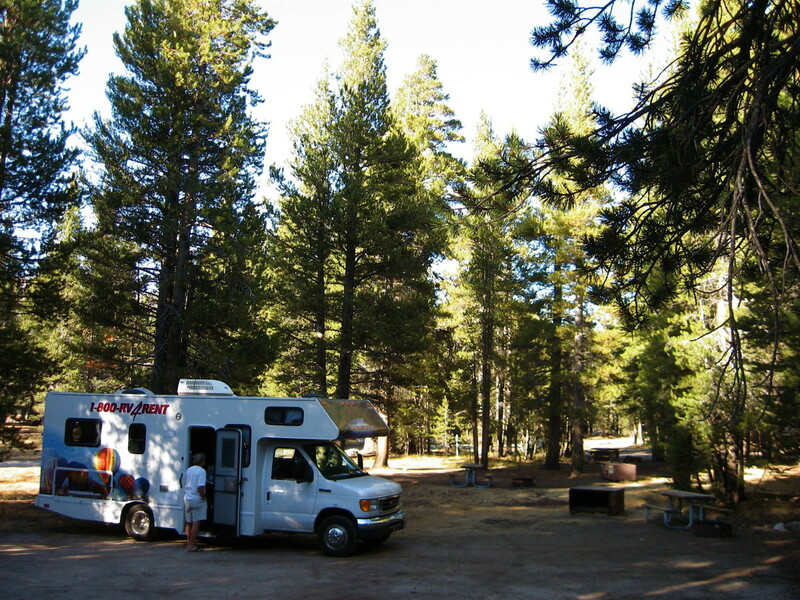 Sugar Pine Point is a California State Park and campground, one of the most memorable of our trip for sheer loveliness. 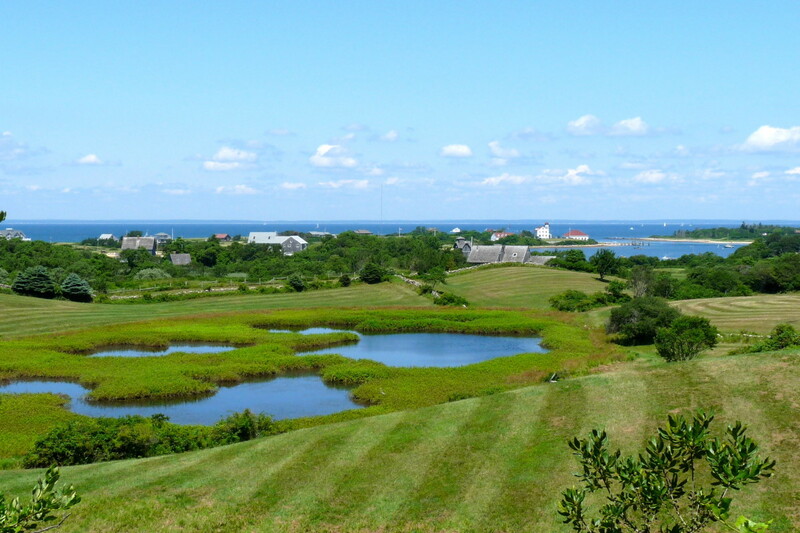 It has 2 miles of lakefront and a pristine beach. The sugar pines are beautiful trees, the tallest of all pines1 (according to the Forest Service), that throw off huge pine cones (up to 2 feet long!) 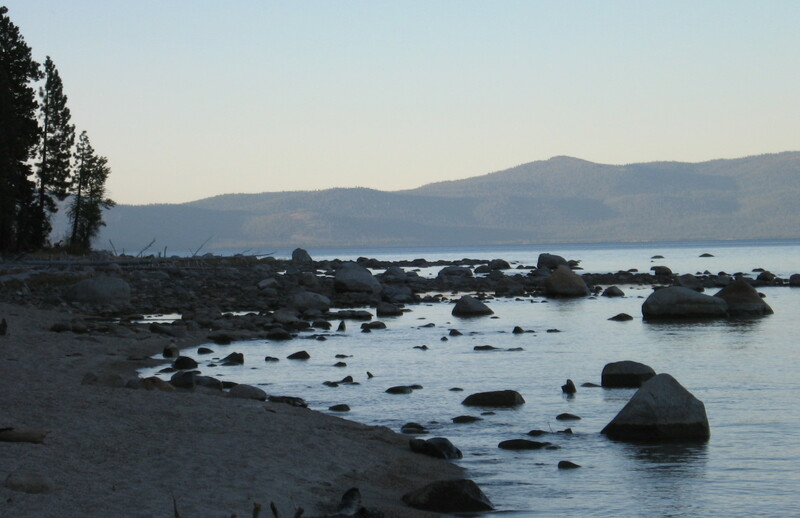 that you'll see along the sandy trails down to the water edge. 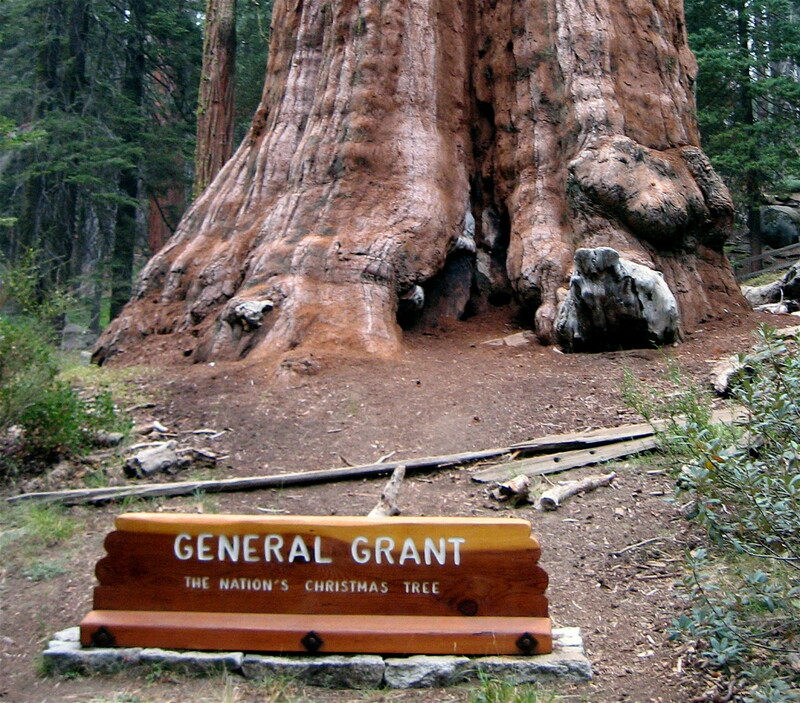 1 Note: Sugar pines, giant sequoias, and coastal redwoods are technically in different classes. 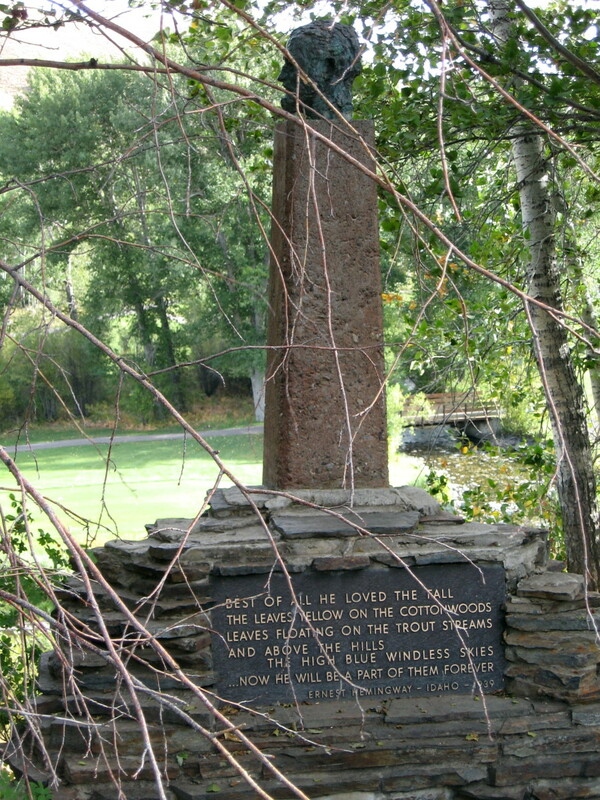 Ernest Hemingway memorial in Sun Valley near Ketchum. 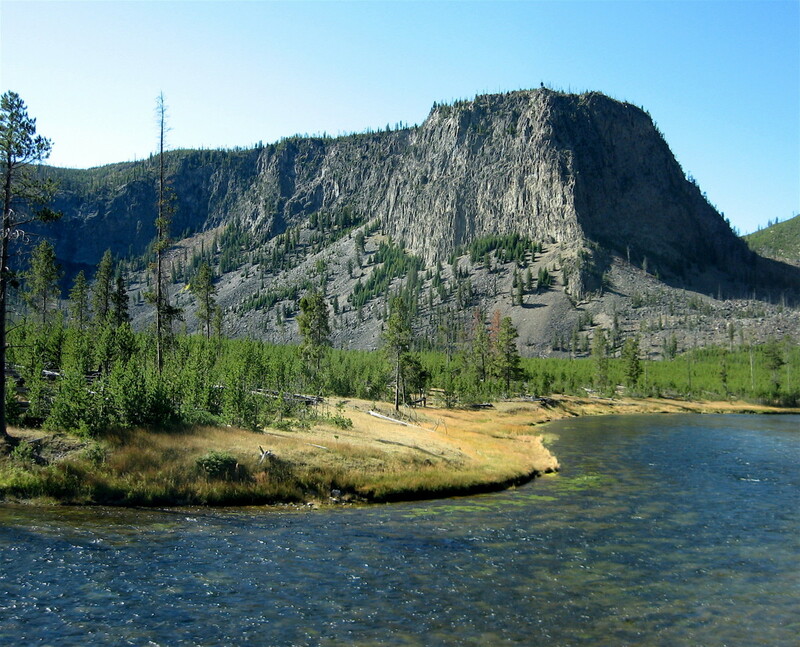 These two charming Idaho locales drew us for a number of reasons. We needed a break in the loooooooong drive from Lake Tahoe to Yellowstone National Park across the dusty dessert country of Northern Nevada. We headed up into Idaho, a welcome relief of lovely farms and rolling green hills near the Snake River. 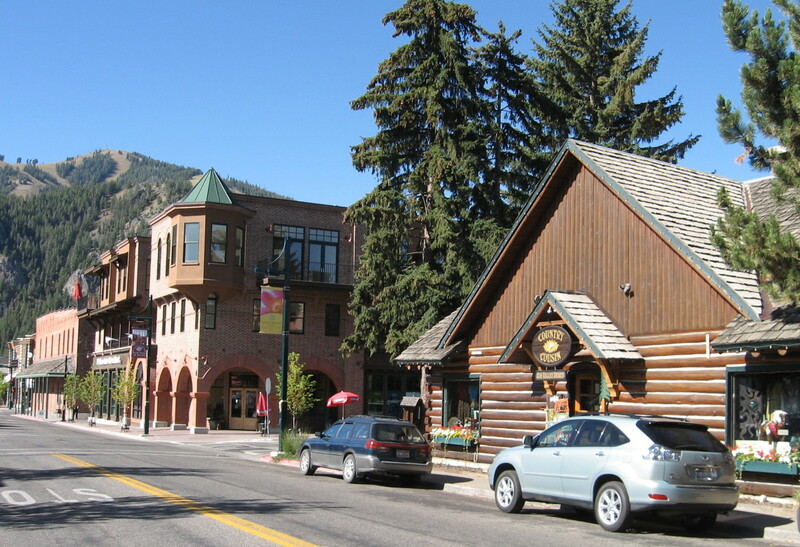 The further north we went, the more beautiful until we reached the very charming town of Ketchum, final resting place of Nobel prize winner for literature, Ernest Hemingway, the second reason we came to Ketchum. 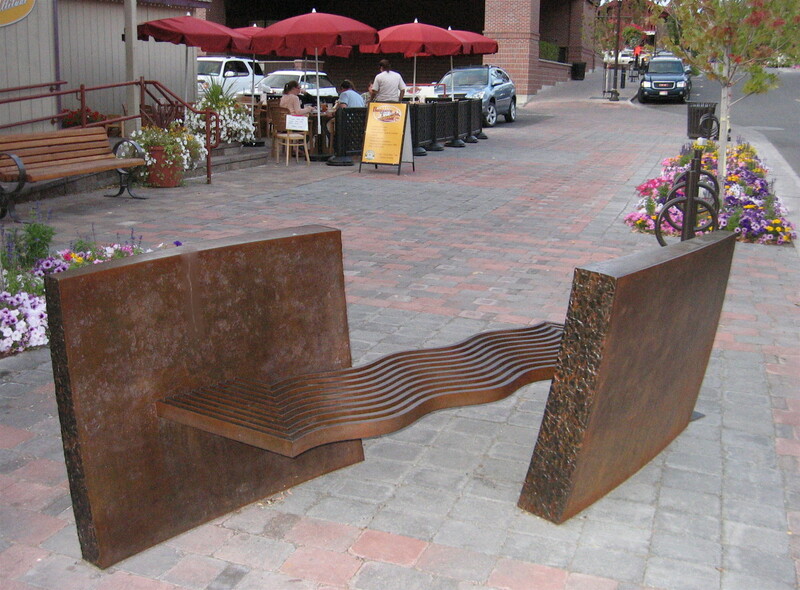 Side by side, practically, Ketchem is the town, Sun Valley, the sky resort. Both are beautiful and upscale. 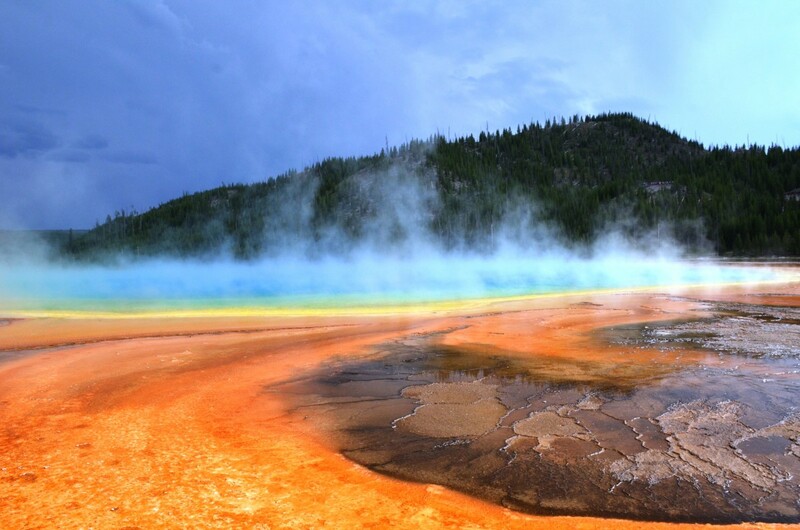 Yellowstone Couldn't Be THAT Great....Oh, yes it is! On the road again, we stayed overnight just outside the park. 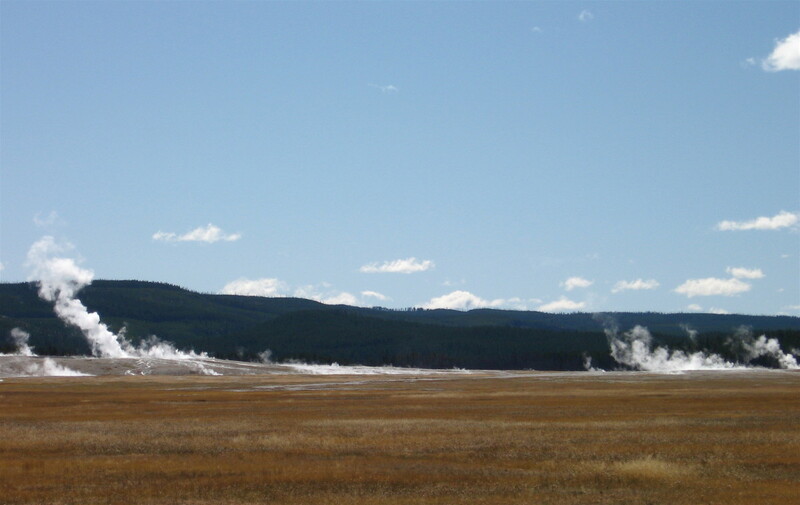 Next morning, we excitedly entered Yellowstone National Park, the nation's first and finest, from the west side in Montana. 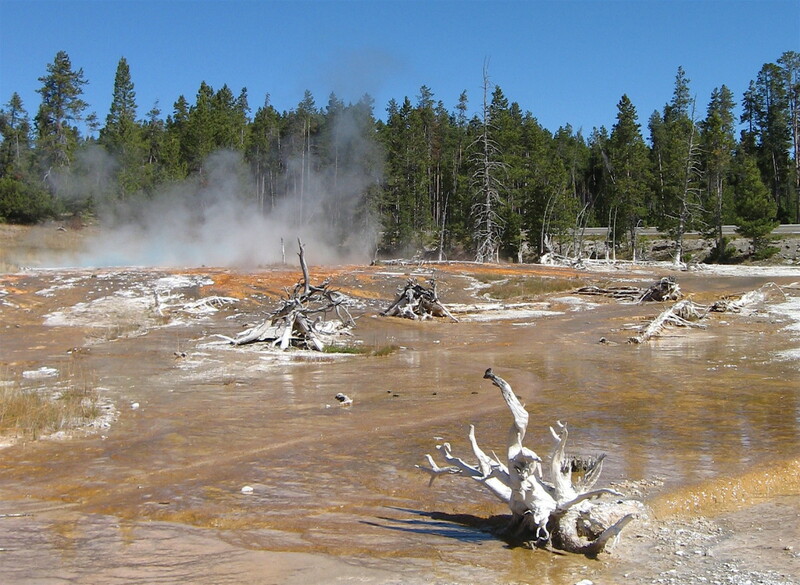 It wasn't long before we begin to see features that the park is famous for: steaming earth, boiling mud, clear rivers, and herds of buffalo. We stayed 4 nights in Yellowstone, and it wasn't enough. We want to go back. 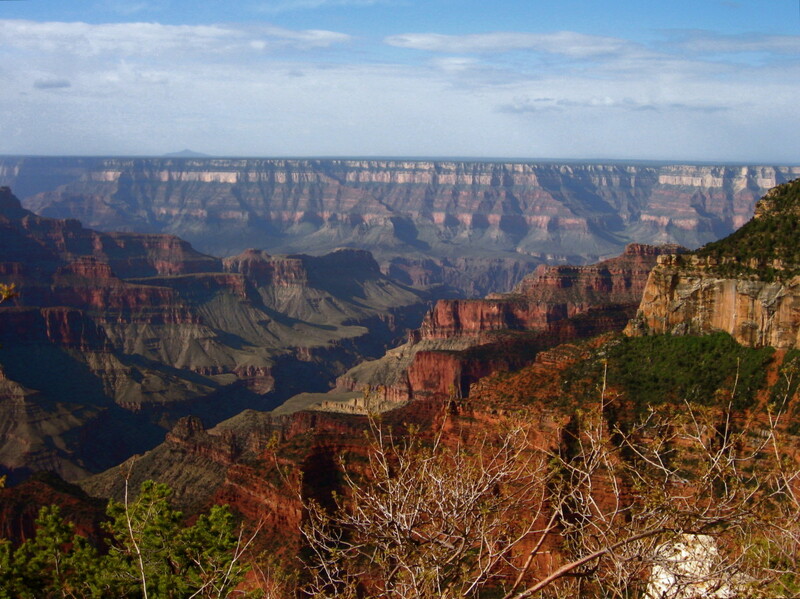 Which one is your favorite National Park? 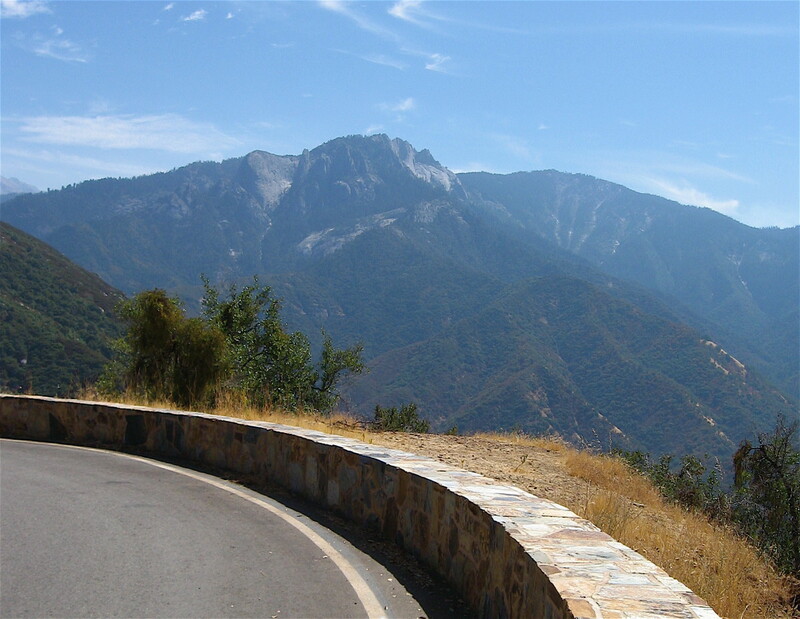 I love your itinerary!..My husband and I currently live in CA and want to plan an RV trip. Only question is we want to take our dog with us, did you see others with pets in the National Park? Wow, you sure packed a lot of sightseeing into your 10 day trip! Loved the very organized way you went about planning your trip as well as r lovely photographs and useful tips. As a veteran full time RVer, I sometimes forget how much we had to learn in the beginning. 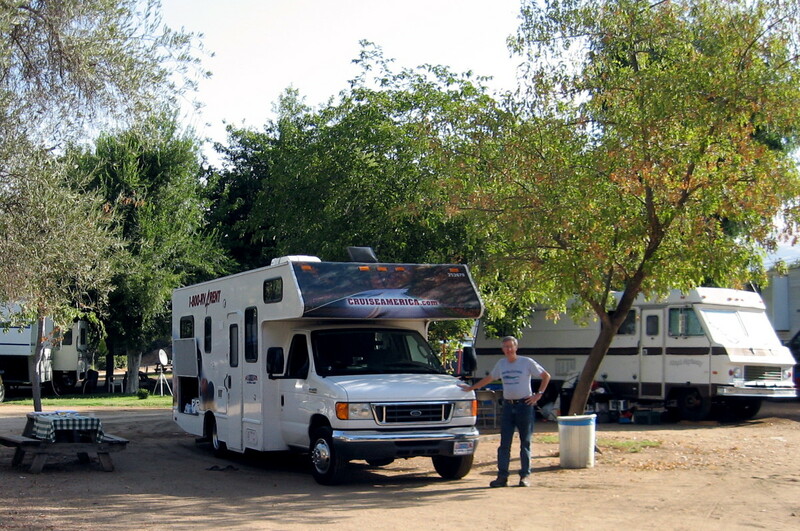 Renting an RV and driving it on a vacation is a real challenge if you aren't prepared, and you've addressed the challenges well. Glad you had such a great experience, and thanks for sharing it! Cooper Man, I'd still like to take another trip. In fact, I go shopping now and then online looking at different sized RVs. It's such an adventure. Thanks for stopping by. I dream of doing a RV trip sometime soon and this hub has made the desire even stronger. 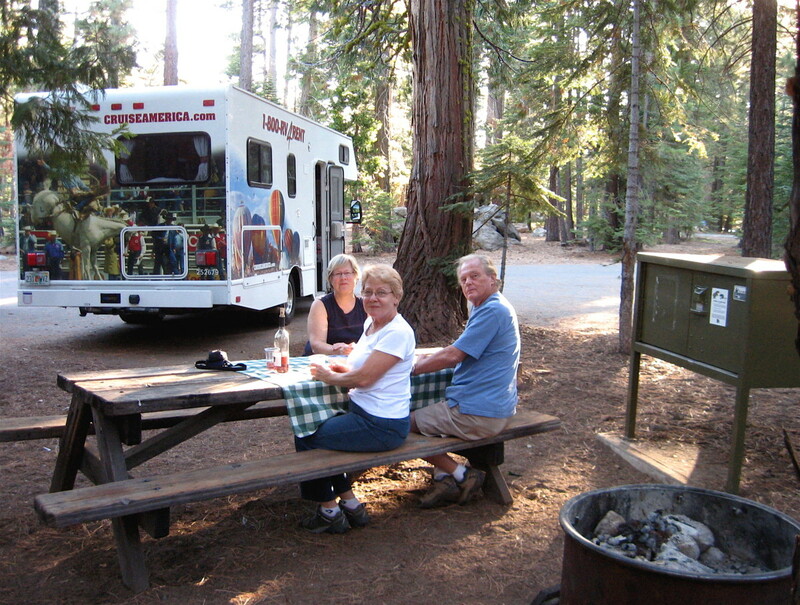 Thank you for sharing some practical aspects of RV holidays. Reading an article like this sure makes you want to get out and about. 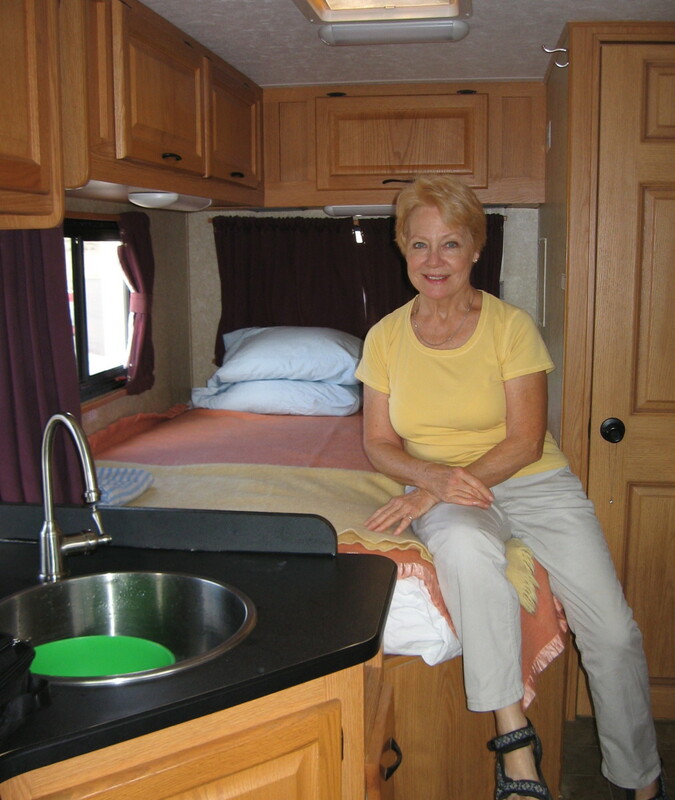 One thing about renting an RV, you can select the size according to your planned trip: small for a weekender, large for an extended trip. I hope you get to take that road trip, too. So much to see, so much to do! Because America is so big I guess you're spoiled for choice, just like in Europe. Can't wait to go to the US one day and do a Thelma and Louise inspired road trip! Thank you for your comment. If I were asked to advise someone traveling to the U.S. for the first time, I'd be hard pressed how to go about it. I guess I would first narrow it down to choices between cities (New York? San Francisco? Chicago? How different they are!) 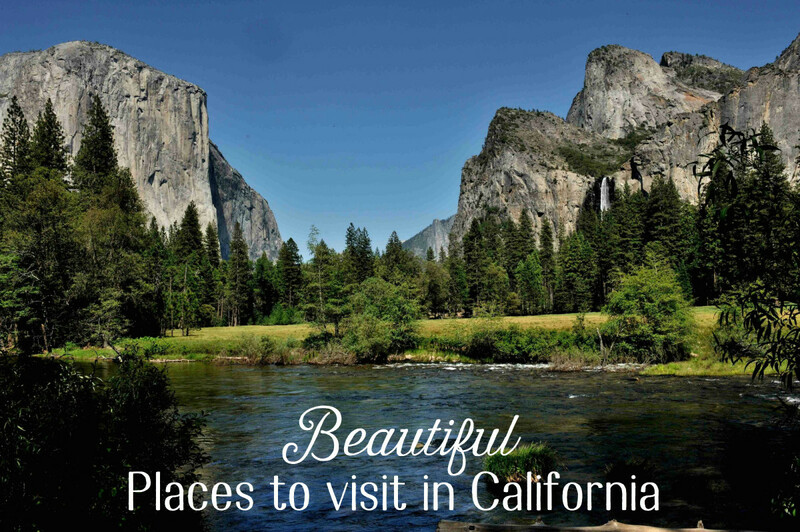 and nature (the National Parks, but there are so many!) We've travelled this country a great deal, but there is still so much we haven't seen. And it is hard to describe a single trip that would capture the country as a whole. We want to take a 3 to 4 week trip to Europe this year that includes Amsterdam, Milan, and the Greek Isles. There are so many choices! For somebody who has never been to the United States I'm going to use this Hub as an itinerary for a future trip! Thanks for being so informative and for sharing some great photos too. 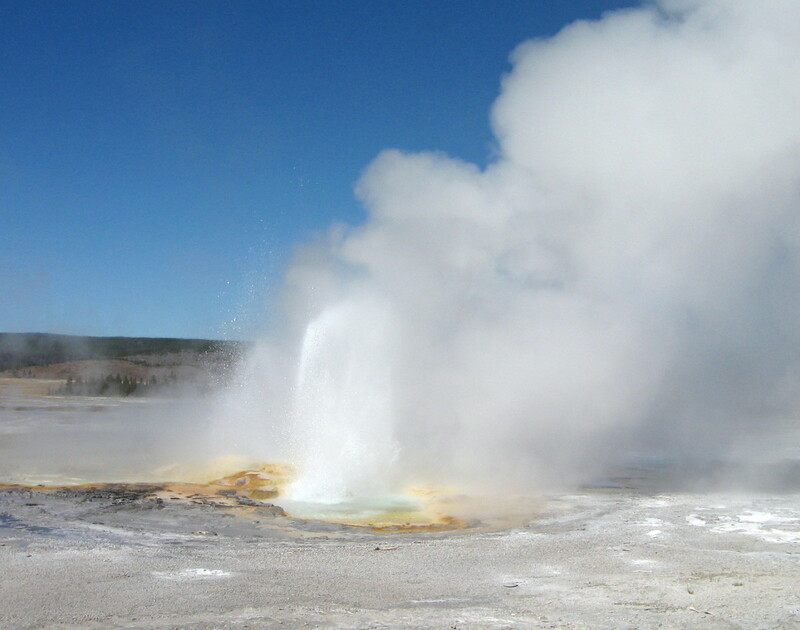 The second leg of the trip described in this hub was from Yellowstone to the Tetons to Mt. Rushmore and on to Lake Michigan, for a grand total of 30 days on the road. And I still want to take another RV trip. Thought I would read this. We used to own a motorhome. You can travel with ease, but you have to like this way of traveling. Very good hub with lots of lovely photos. Impressive hub JSParker! Nice post. Hi Levertis, welcome and thank you so much for visiting my hub and for your positive votes! Actually, National Geographic is a pretty good idea for some places we will never see. Also, you make an interesting point about trips after disappointments. My 30-day RV dream trip actually came about a few months after I lost my job! I would never have been able to take 30 days off otherwise. And now I'm happily retired and we just returned from an 11-day trip to China. Dear Peggy, what a wonderful comment from you. Thank you! You have made my day. Truly I get excited all over again whenever I start thinking about and looking at photos from that wonderful trip. 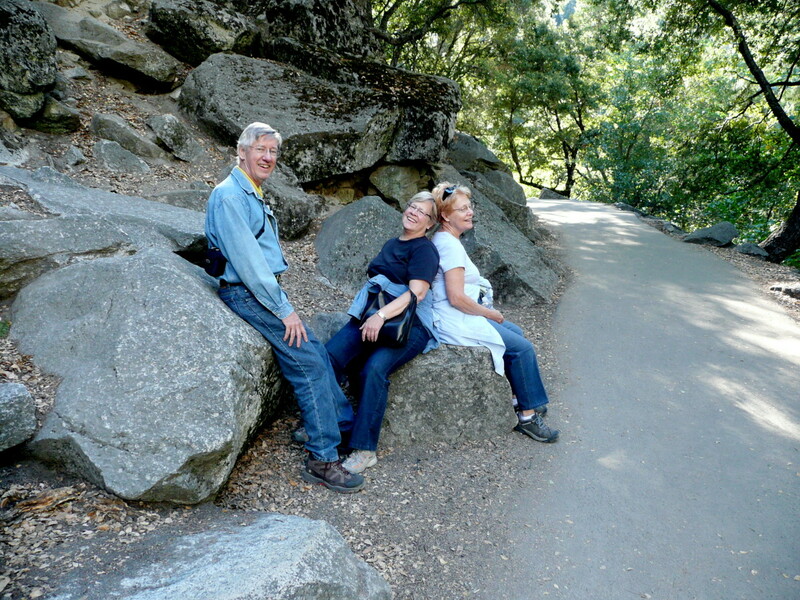 I still marvel, too, as you said, at how different each of those beautiful parks is. And there are still so many I haven't seen. I think Glacier National Park would be on the top of my list of parks to visit that I haven' seen yet. My best wishes to you. Awesome! There was a time when I thought that National Geographic would be my only mode of travel, using my imagination, of course. Interestingly, some of the trips I had always wanted to make occurred after a disappointment in my life that led to a plan to do something wonderful with family or friends. No regrets! Thanks for sharing some of America's finest--such magnificence! I voted up and clicked positives. I will share. Voted up, useful, interesting and will share with my followers. Dear Danette - your comments are a delight for this writer to read. This hub was the first one I ever wrote and I worked especially hard on it. It also was about a trip that was a life long dream come true, so it is close to my heart. Your thoughtful words bring me a real sense of satisfaction that sometimes comes with sharing experiences. Thank you. It sounds like a wonderful trip although, like you, I don't think I could drive on anything but wide open roads! Your pictures are gorgeous and I really like how you laid out this hub with the photos, info and maps. Very nice. Thanks akirchner! I am really happy that I was selected to be in the contest and received 25 votes and won $25! Thanks for stopping by to comment. I appreciate it. You were great and thought you had a chance at second place as it was a great hub! There are/were so many great hubs this contest it is really hard to see anyone "lose" but you still won in my book! Great hub!! Ah, got it. Will check it out. Thanks, Mrs. Menagerie. Hi akirchner - Thanks so much for the comment. I'm with you, if I did it again with 3 other people, a little more room would be sooo nice. The problem is, that means you have to drive around that much more of an unwieldy beast. I liked your calling the hub "a virtual trip". There's a different quality to that than just saying it's a descriptive hub. I will strive in the future to create another "virtual trip". I think that will make it more interesting. Thanks for the creative interpretation. I like your win the lotto idea, too. :D Best wishes. Mrs. Menagerie - your link didn't quite get me there. 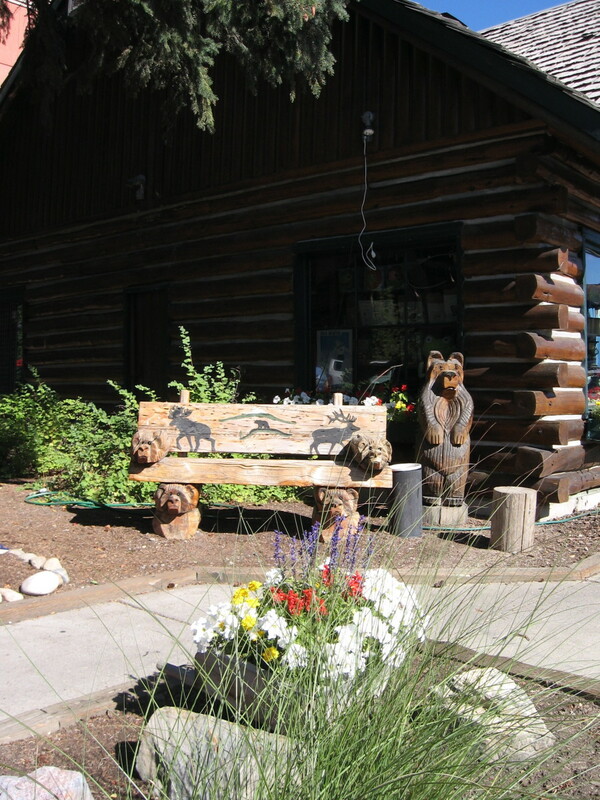 Are you referencing your hub "Camping With Kids in Bear Country"? I will make a note to read it. Thanks so much for your votes!! Hey paulgc, coming from you, with your visual talent, the compliments on my photos really mean a lot. Taking a trip like we did, those photos are real treasures. Thank you so much for your votes! Treasuresofheaven, what a pleasure to have you visit one of my hubs again. I hope you get a chance to take an RV trip someday. 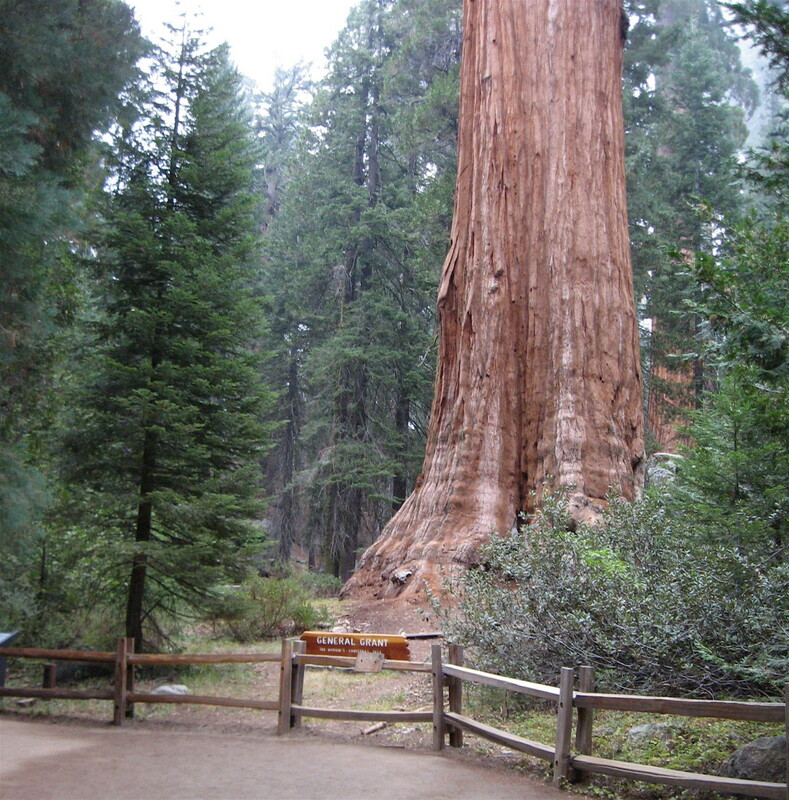 Those trees - whether it's the giant sequoia in Sequoia and Yosemite National Park or the coastal redwoods north of San Francisco...they are worth a trip in and of themseves. Thank you so much for your delightful words. Taking a RV Trip sounds like so much fun. This is a great share. 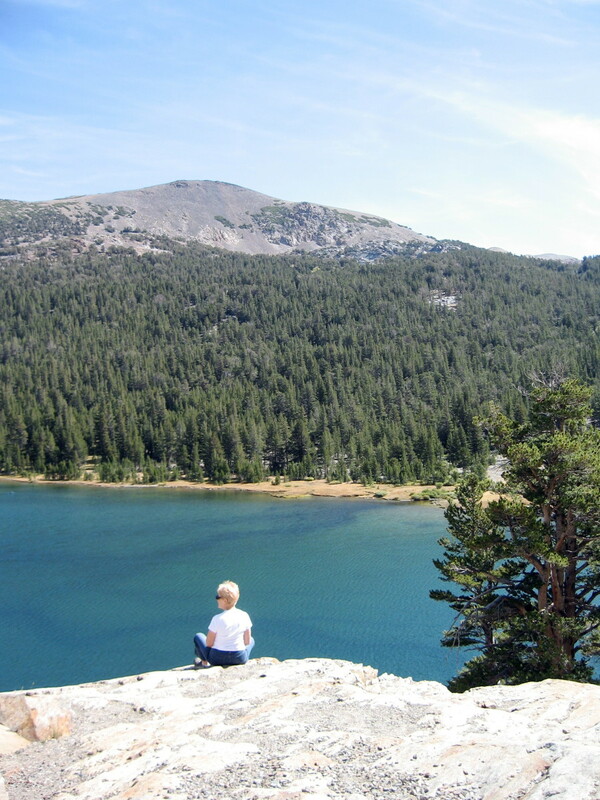 I enjoyed this "virtual trip," as others have stated....would love to take an RV Trip myself. 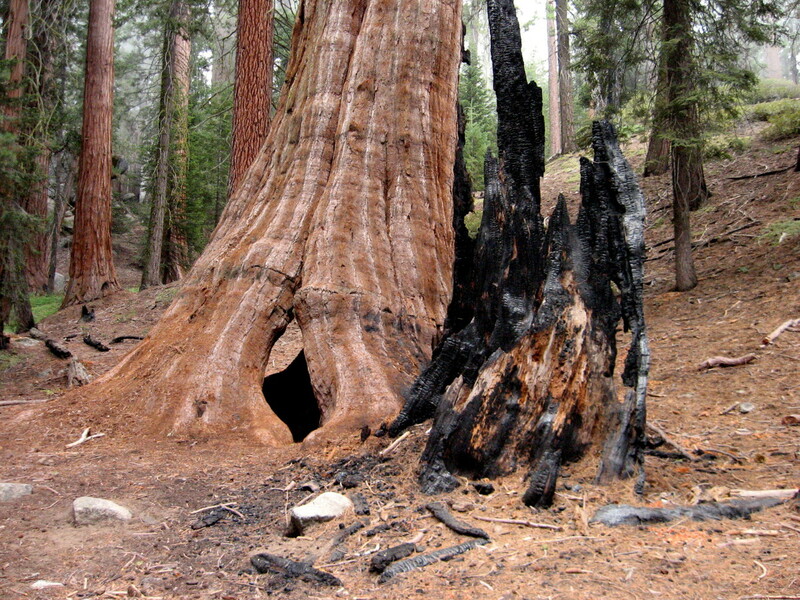 Great job a, and the Trees in Sequoia National Park are incredible!!! Awesome!! Really liked your photographs, some absolute jems in there. Whoa! What an awesome hub...and you are leading everyone right to me here in Southwest Montana! 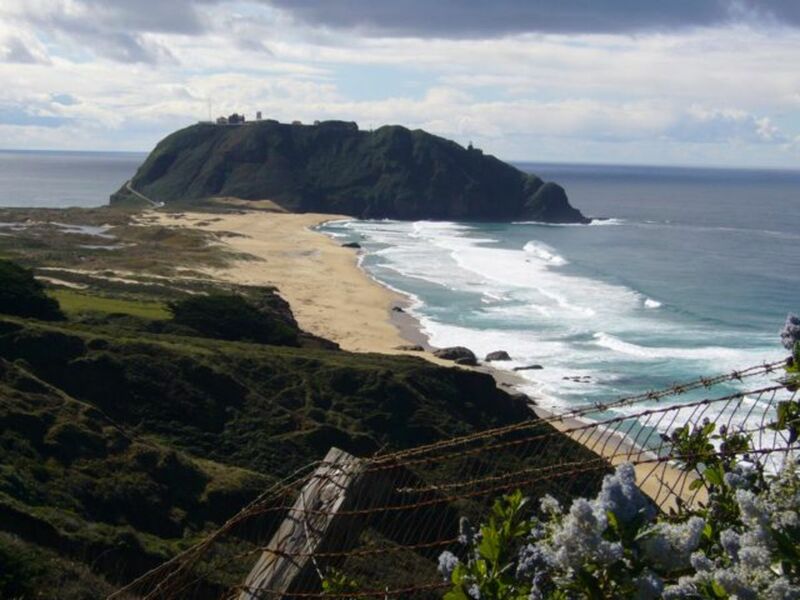 If I may, Id love to add a few ideas once you're here...https://mrsmenagerie.hubpages.com/hub/Camping-in-G... Awesome and UP! Thanks for the virtual road trip - I've always wanted to do that but I need a bigga RV for my hubby and my 3 mals - and of course my computer....maybe if I win the lotto! Great hub and fantastic subject. Congrats on being in the contest! Good luck!! point2make - I finally got my chance to take the trip I'd always wanted to make when I lost my job! Sounds like a negative, but actually in the long run, it was not. For one thing, I might never have taken this trip. Please don't wait too long. Follow your dreams. And yes! I'll see you on the road!!!! Simone, what a delightful recollection you've shared here. I'm delighted that my hub would have this effect! Every writer dreams that her writing will make such a difference. I do think there is something a bit vagabond in the American psyche that makes us restless, make us want to hit the road! Being a student of literature, Steinbeck's "Travels With Charlie" was always a stimulus for me. (I even re-read it on the trip!) Yes, yes do recall and fulfill your dreams!! My very best regards. When I was a child, I used to have dreams of someday owning an RV and traveling all around America. You've just rekindled those dreams with this beautiful Hub! Your RV traveling advice is great, and each place you describe (some of which I have visited, others which are still on my to-see list) are all awesome. Thanks for reminding me of something very important I must go out and do! What a great hub. I have often thought about doing an extended RV trip. Your hub is certainly motivation to get going.Thanks again and ......see you on the road!!!! Hi Phil, Actually I've had my eye on a Aliner for quite a while, as an RV to own rather than rent. Sure, it's smaller, has less conveniences, but it's also much more economical, easier to travel with, and closer to maintenance free. Happy travels! That looks awesome! I dream of RV vacations like this but really think I'll have to settle for an Aliner.